Cloud storage startup has kept extra busy as competition is growing stronger with the launch of Google Drive and Microsoft’s SkyDrive getting dedicated desktop apps as well as a revamped feature set. Today, they are announcing a follow up to the photo upload feature that debuted on Android and reached the desktop recently, enabling automatic photos and video uploads on iOS over 3G/4G or Wi-Fi. The new feature allows for uploads of any size. Once your media files are copied to Dropbox you can skim through photos and videos in a gallery view, delete and move sets of files or individual files. There's also the option to earn up to 3GB of extra free space for uploading photos, in 500MB increments. On a related note, the company also announced in a letter to developers that starting August 1st, new user accounts will be built without the Public folder and existing users won’t be able to create new ones either. Apparently Dropbox feels the feature became redundant after it added the ability to share any file or folder with a simple link back in April. That will be the main way of sharing files with others going forward. 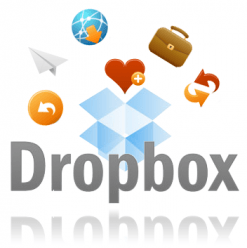 Dropbox will let existing public folders continue to exist but is advising developers whose third-party apps depend on Public folders to switch over to the new method.